Engine is a PP Renesis. All Renesis engine parts, no mix and match. 51mm IDA Weber. I'm not asking on how to figure my runner length. I am asking on exactly where to measure to check my runner length. Right now, I have it at a total length from port face (Inside of the rotor housing) to the tip of the bell mouth on the velocity Stacks at 19 inches. I'm curious if it matters more on the actual intake runner length or the overall length to the bell mouth. Or is it more important to measure to the throttle plates? For example. I have pretty tall Velocity stacks. If I were to cut these down by 2”, and add 2” to the intake runners. Would that make any difference at all? One thing to consider is that a tapered runner acts like a different length from a straight one. And for the life of me I cannot remember if it is shorter or longer. I'm curious what's that originally from though? Different port size, and subsequently, port timing will effect the most beneficial runner length. 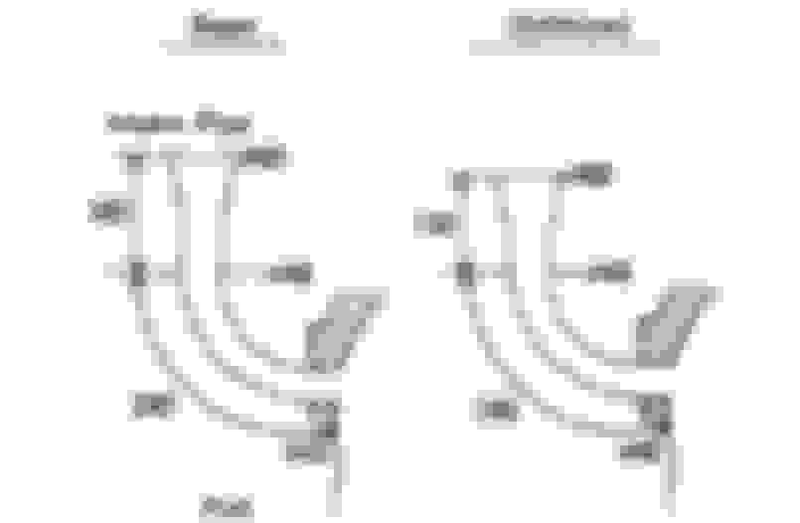 but using that picture as a basis, total runner length I include the velocity stacks is what counts. So am I to assume achieving the deaired length will achieve the same power whether it's mostly in the intake runners or Stacks? Just as long as I achieve the desired overall length ? its from an old SAE paper, so its Mazda derived. paper is from about 1990, and they had just gone through the engine to optimize it for a 9000rpm power peak. port timing got less radical, but port area was bigger (shorter and wider). intake runner got larger, intake and exhaust lengths revised. total length is the important part, although stack vs trumpet may matter a little when the throttle is not 100% open. 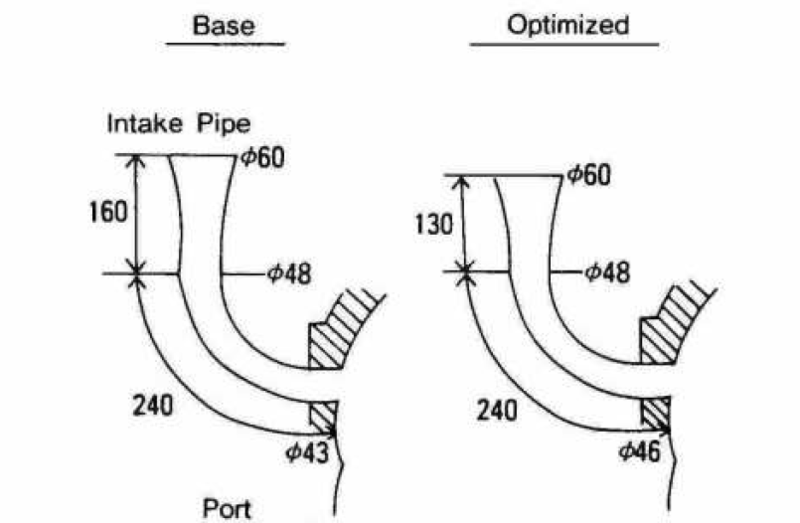 Peripherl Port intake runner length.